The mission of the Center for Contemporary Arts is to encourage, empower and inspire artists, children and the community through the arts. 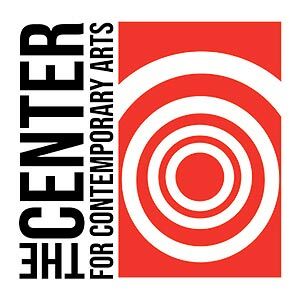 The Center for Contemporary Arts, a 501 (c) (3) corporation, was founded in 1989. The Center's exhibits and community education programs serve over 26,000 individuals annually. By offering free admission to all exhibits, the Center serves a broad cross-section of the community, reaching individuals of a variety of ages, ethnicities and socio-economic backgrounds. While we are proud of the quality and variety of the Center's exhibits, we recognize that providing an enriching and educational experience for gallery visitors requires more than hanging art on the walls. As our gallery offerings have grown, so have our efforts to make the Center more accessible to the broad demographic served by our programs. The Center currently has more than 60 artist members and rents ten artist studios. Five galleries, one devoted to photography, present more than 20 different admission-free exhibits of regional art, international photography, and award-winning short films to more than 26,000 individuals each year. The Stephen L. Clark Gallery was established in 1994 and is located in a unique 1800's building in the heart of Austin, Texas at W. Sixth and Baylor Streets. The gallery specializes in fine art photographs with an emphasis on contemporary work, with access to national and international vintage work as well. We are located in Dallas, Texas and are one of the oldest art galleries in the world devoted to photography. This is our 41st year of operation, and this year over one million people will visit this site. We provide a large variety of photography at a wide range of prices. 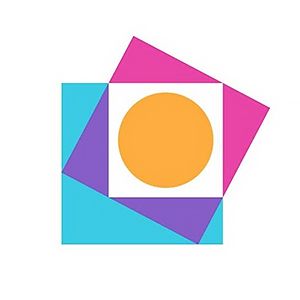 Photographs Do Not Bend Gallery is an art gallery dedicated to photo-based art. We are now located in the Design District of Dallas, at 1202 Dragon Street. The gallery opened its original Uptown location in 1995. The move to Dragon Street took place in the summer of 2006. Artists exhibited ranged from the early 20th Century to the present. Our gallery stable includes regional, national and internationally recognized artists. The primary goal of the Deborah Colton Gallery is the creation of a continually evolving innovative showcase for the ongoing presentation and international promotion of strong historical and visionary contemporary artists worldwide. While living in Asia for eight years, Deborah Colton's first emanation was a virtual gallery, starting in 1998, whose main focus was to create an awareness and appreciation for the multi-media talents of artists from Thailand, Japan, China and throughout Asia. Moving to Houston in 2000 after living in Tokyo and Bangkok, Deborah Colton first curated and presented several public space exhibitions in conjunction with many prestigious art non-profits both from the United States and Asia. The Deborah Colton Gallery opened FotoFest of 2004 and since then has been continually presenting significant national and international contemporary art exhibitions. As part of the Gallery's continued aspiration to provide a visual forum which connects both national and international artists to create an awareness and help make positive social change, the Deborah Colton Gallery has focused on many key cities, including having been an exhibitor in the first Art Fair in Abu Dhabi in November of 2007. In 2008 Deborah Colton Gallery debuted the exhibition titled Qatar Narratives consisting of contemporary artists from Qatar in conjunction with Consular Forum 2008, honoring the Kingdom of Qatar. In 2009 the Gallery similarly honored Spain and in 2010, Mexico. During FotoFest 2012, the Deborah Colton Gallery focused on Russia, which included important exhibitions on both Olga Tobreluts and Oleg Dou. This emphasis encompasses a wider scope for the expansion of the diversities of international artists and concerns. In addition to the Gallery's stable of artists, Deborah Colton Gallery provides consultative services both nationally and internationally to individuals, corporations and institutions so they can start to acquire specific works through a comprehensive program of collecting. Exhibitions highlight only the most provocative and relevant contemporary artists, whose diverse practices include paintings, works on paper, sculpture, video, photography, performance, conceptual future media and public space installations. FotoFest® created the first international Biennial of Photography and Photo-related Art in the United States. FotoFest® is an international non-profit photographic arts and education organization based in Houston, Texas. FotoFest's purpose is to promote the exchange of art and ideas through international programs and the presentation of photographic art. Our programs work globally and locally, bringing together an international vision of art and cross-cultural exchange with a commitment to community involvement and the enrichment of Houston's cultural resources. In addition to its internationally known Biennial, FotoFest sponsors Inter-Biennial programs - exhibitions, international exchange programs, and publications. In grades 3-12, FotoFest operates a year-round classroom education program, Literacy Through Photography, using photography to strengthen writing skills, visual literacy, and cognitive learning. Houston Center for Photography brings together a community of people interested in photography and lens-based work. HCP is always free and open to the public. Founded in 1981, HCP is a nonprofit organization offering year-round exhibitions, workshops, publications, outreach programs, lectures, classes, and home to an on-site library housing more than 2,500 books on photography as well as a state of the art digital darkroom. Octavia Art Gallery's satellite location, Octavia Art Services, opened in Houston, Texas in 2014. The Art Services branch of Octavia Art Gallery functions as a viewing room to display a curated selection of the gallery’s represented artists along with emerging and mid-career Texas based artists. In addition, Octavia Art Services assists in the cultivation, growth and enhancement of corporate and private art collections through art advising and collection management. The mission of Project Row Houses is to be the catalyst for transforming community through the celebration of art and African-American history and culture. PRH was founded in 1993 as a result of the vision of local African-American artists who wanted to have a positive creative presence in their own community. Working with artists and volunteer from throughout Houston, PRH renovated 22 abandoned shotgun style houses on a two block site in historic Third Ward. PRH seeks to shift the view of art from traditional studio practice to a more conceptual base of transforming the social environment. Central to the vision of PRH is the social role of art as seen in neighborhood revitalization, historic preservation, community service, and youth education. Today PRH includes more than 50 buildings spread over almost 10 blocks. Silver Street is an arts and event complex that includes a 20,000 square foot event space and 70 creative studios. We are committed to supporting the arts and providing local creative entrepreneurs a community in which their ideas can thrive. A Smith Gallery is located in Johnson City, Texas in the Nugent Avenue Arts District. The gallery exhibits the work of both amateur and professional photographers through juried and invitational exhibitions. SRO Photo Gallery is part of Landmark Arts and the Texas Tech School of Art. Our blog is here to add to contemporary photographic discussion and is a resource for artists. SRO Photo Gallery annually hosts a competition to fill seven-eight photographic art solo exhibition slots. Portfolios are viewed and considered by a committee of the Photography Division of the School of Art and the Director of Landmark Arts. We look for strong portfolios of creative photography in all styles, techniques, and aesthetic approaches. Consistency in the work as well as creative vision is important in the selection process. 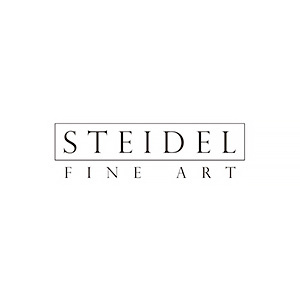 Steidel Fine Art is a international, contemporary art gallery and art consultancy providing collaborative advisory and fine art services for private collectors and interior designers for the home, professional office, and corporate environments. ​ We work with emerging and established artists to present a diverse exhibition of different disciplines and media congruent with trending concepts and themes thoroughly dedicated to inventiveness and accessibility. ​ What sets us apart is our dedication to providing our clients access to overseas collections and extraordinary commissioning opportunities by maintaining an international presence and strong artist relationships. ​ We have shown contemporary fine art and design work in international art shows in the UK and USA, and uphold an active fair schedule. ​ We are experienced to support, develop, and enhance your personal or corporate art collection by sourcing original fine art that will compliment your vision.